Delectable and irresistible! God blessed us royally with the nutty pecan. 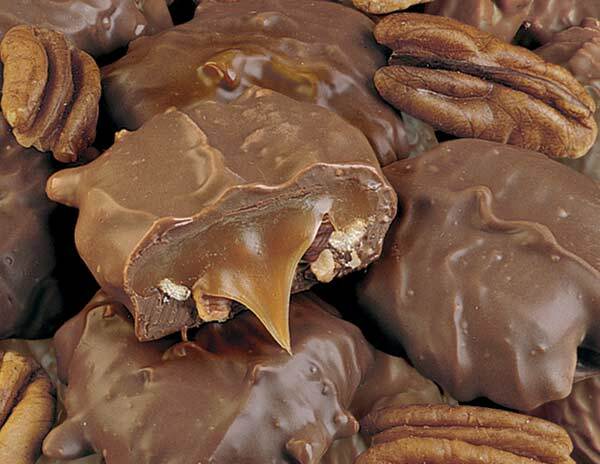 Dipped in chocolate and caramel or glazed in a pie, they are a divine treat! 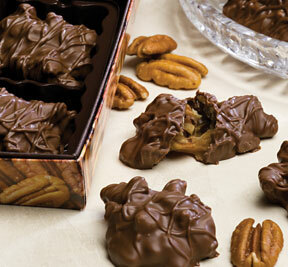 Pecan lovers will enjoy the warmth of these brown and black hues! The dynamic colour scheme and robust pattern are sure to please. Like a pecan shell, these socks are lustrious and satiny smooth! Oldtymestockings Nutty Pecan Socks are knit�in a blend of 75% rayon and 25% cotton. 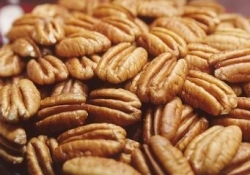 Like a pecan shell, these silky socks�will cradle�your feet in comfort. As sleek and slender as a pecan, these socks are tapered to perfection! Oldtymestockings Nutty Pecan Socks are�available in ankle, mid-calf and knee lengths.